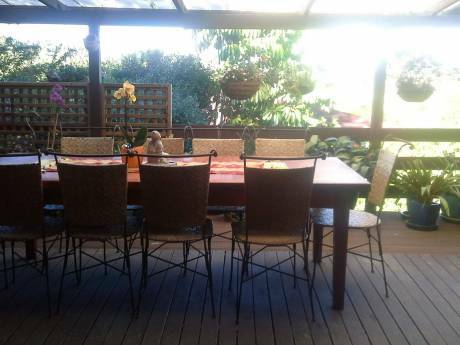 Apartment 75 metres from beach, with some water views, Labrador, Gold Coast. The apartment is in a reasonably small block of 12. 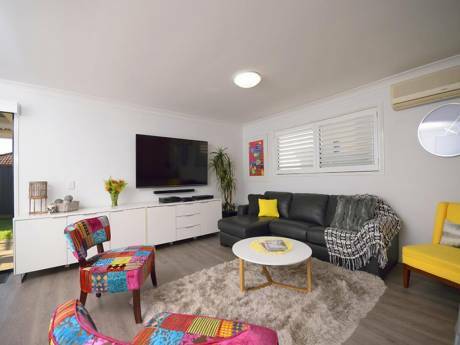 The apartment, which is tiled throughout, has 2 bedrooms, 1 with a Queen Bed, 1 with a double decker bed, which has a double bed and 1 single bed and also a spare bed for emergencies. It has a small kitchen, combined dining area (seats 8) and lounge with some views of the broadwater, 1 bathroom/laundry with separate toilet. There is an outside balcony. The apartment is close to everything i.e. beach, hotel, bus at door and restaurants within walking distance. Buses, directly outside the apartment, run regularly to shopping centres, trains, theme parks (e.g. Movieworld, Dreamworld, Wet & Wild, Seaworld etc) and the airport. My name is Geraldine and I am single and live in Brisbane, but travel to the Gold Coast as often as I can. During 2005 my 3 sisters and I managed a house swap in France and Spain for 6 weeks, and I had 2 house swaps in 2006 to Germany and France. In 2008 my sister and I travelled extensively throughout Europe and included house exchanges in Paris and Berlin. 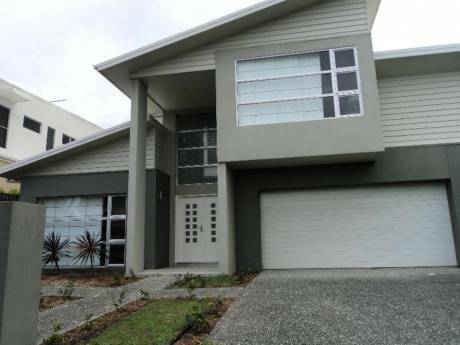 The Gold Coast consists of a number of beach areas as well as suburbs stretching a number of kms from the beach area. The broadwater/beach area is approximately 75 metres from the apartment. Surfing beaches start approximately 2kms from apartment. Approximately 500 metres from the apartment is a well known fresh seafood outlet where you can also purchase take-away fish & chips for $6, next door to this is a children's and adult's swimming area and sand/play area (see http://www.gold-coast-beaches.com/18.shtml). Across the road from the swimming area is a large hotel (Grand Hotel) with restaurants for meals. Jupiter's Casino is approximately 5 kms away and there are buses going there daily. There are a number of large shopping centres, which include supermarkets within a few kms. A variety of restaurants and clubs are within a few kms. Regular trains can be caught from Helensvale to Brisbane, these take approximately 1 hour. Also planes fly into Coolangatta Airport and a shuttle bus can be used to get to the apartment From Coolangatta or Brisbane. There are also a number of sporting facilities close by e.g. Bowling Greens, Water Sports and the Indy Race Track is approximately 2kms away.